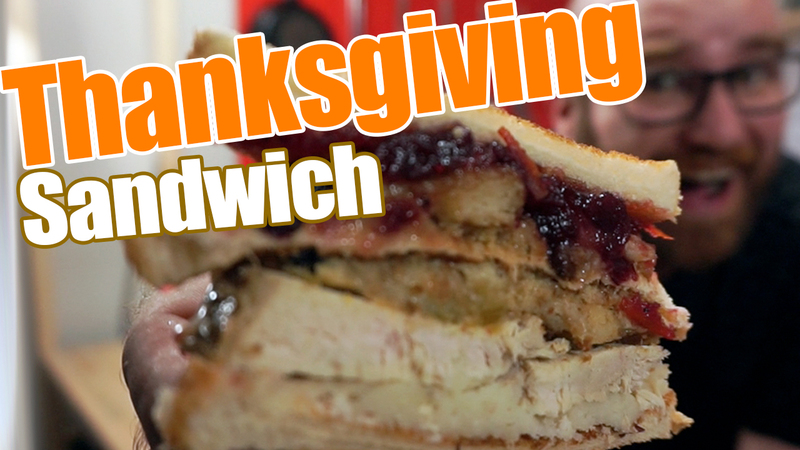 I’ve always enjoyed the Thanksgiving Sandwich, but this year I had to take it a step further! With inspiration from the TV show Friends I would like to introduce you to The Moist Maker. The Moist Maker is a Thanksgiving Turkey Sandwich with the addition of a third slice of bread that has been soaked in gravy. Thanksgiving Sandwich with 1 slice of gravy soaked bread!